High Five’s to Randy Edmonson and Dr. Wayne McWee who were both very important parts of this project coming to life! Thanks to Kent Booty for the fun filled interview. 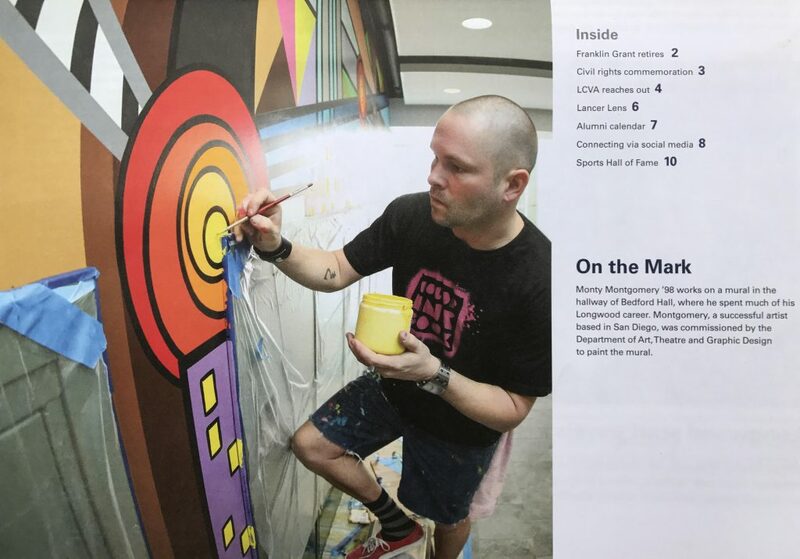 Many thanks to Andrea Daily for all the hard work photographing the process and much love to the Longwood University Family for the “on point” feature on the “Eastern Rays Mural”. 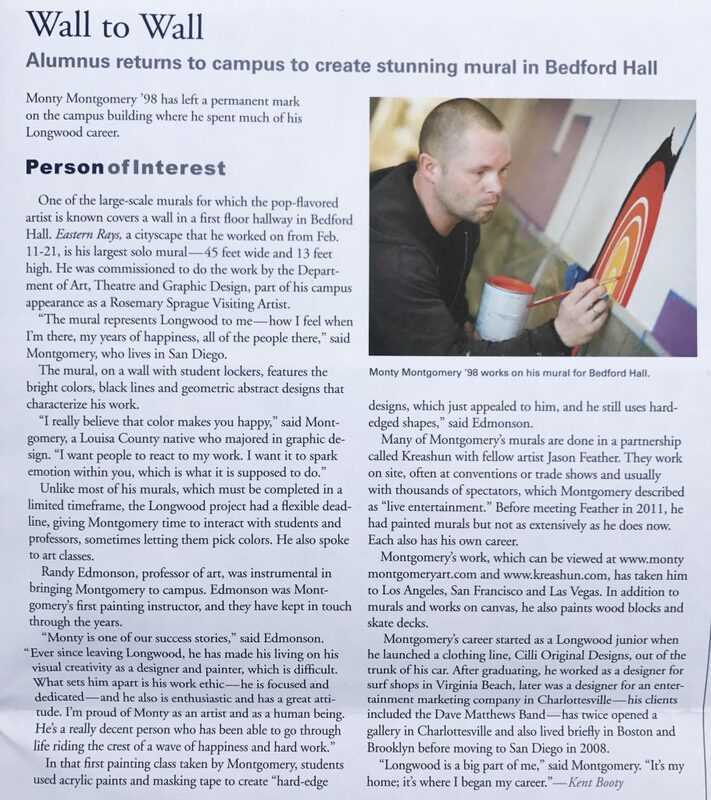 Featured above are “WIP” photos of the mural coming to life in February 2014 in Bedford Hall at Longwood University.